Monsoon is the time of the year in India when every emotion is repaired and vivid colors of nature are visible, igniting a sense of belovedness everywhere. 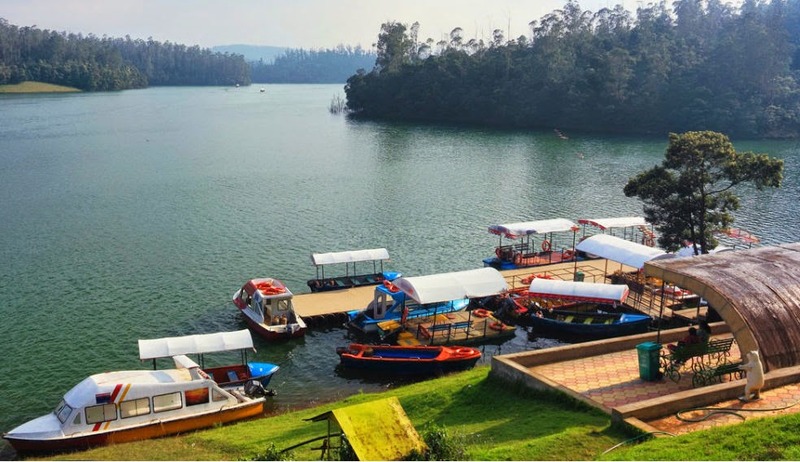 The mystical essence of Monsoon season meets the 'Queen of Hills' – Ooty, in Tamil Nadu state of south India to form into a scenically pleasing place during this season. A refreshingly beautiful place, Ooty, is like resting in the lap of nature. In monsoon season this 'Queen' (place) reveals its resonating charm adorned with lush green carpets and magic-potion like waterfalls. Indulge your senses with stunning scenery and one-of-a-kind hill station exploration, best in the monsoon season between July-September. India's rich diversity offers a variety in everything so whether you are an adventurer, a honeymoon goer or a leisure traveler or a tourist walking by simple streets filled with life-colors, you can treasure it here. This variety of opportunities and activities calls for a different gist of holidays for the people with varied demands and needs. For this Magic Holidays, a timeshare concept, comes into picture. With years of experience in the travel and hospitality industry, Magic Holidays has earned to be called as traveler's genie lamp by offering tailor-made holiday packages and vacational timeshare in India. By rubbing this lamp once, you'll enter a well-connected world making you reach some of the best places in India with spectacular forts and majestic monuments, love symbol - the Taj Mahal, ambientic backwater of Kerala and more. We have numerous of places to choose from as we have owned luxurious properties at carefully researched destinations to give you an experience that will stay with you forever and yes, in your budget with flexible options. In Ooty, we have United-21 Paradise resort with all-inclusive holidaying packages that can be customized as per required. With 'Your home, our home' approach we have designed this place with amenities including, 24 hours hot water, Room heater, guide service for sightseeing/trekking laundry, doctor on call. This can also be availed on easy EMIs as we promise to make your holidaying at ease from every angle.